Whether you have been formally diagnosed, or you are experiencing a stressful time in your life, anxiety and depression can affect us all at some point, and on a varying spectrum. While some people have awesome success with managing their depression or anxiety with medication, many still suffer from mental illness symptoms; even while taking prescriptions and seeking help from psychologists and psychiatrists. This is where alternative treatments such as acupuncture and herbal therapy shine! So how does acupuncture help anxiety and depression? Acupuncture can help out those suffering with anxiety and depression in many ways. First and foremost, it has a direct effect on your nervous system. Our nervous system is super handy at sensing if our bodies are being threatened, and has a “Fight or Flight” mode. 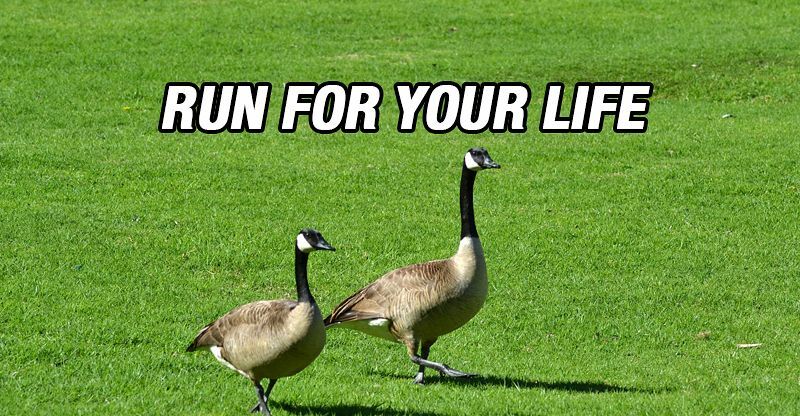 This is great for when you’re being chased by an angry goose (Hey, we’re in Canada, it could happen!) and you need that adrenaline spike to either fight it with your bare hands, or run away as fast as you can. However, when our nervous system is constantly in “Fight or Flight” mode, we can end up feeling either too stimulated (more anxious), under stimulated from “burn out” (more depressed), or both. With treatment, our nervous system becomes more malleable and able to handle daily stressors more appropriately, and our bodies don’t send us into “run away from an angry goose mode” when we’re just stuck in traffic. Another factor with anxiety and depression is our hormone secretion and regulation. If our cortisol levels (stress hormone) are always ramped up, we can get burnt out. Our adrenals then suffer, leaving us with no gas in the tank, leading to mood disorders and extreme fatigue (cortisol is what gets us up in the morning!). This can also affect the proper secretion and regulation of oxytocin and serotonin (feel good hormones), which are vital for keeping our moods level and even. 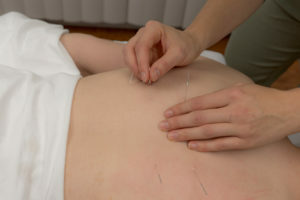 Acupuncture, herbs and lifestyle changes can all have a positive effect on regulating these systems. When these systems are balanced, our tolerance to physical and mental stressors becomes much more manageable, and we don’t wear ourselves out over minor stressors accumulating. While this is a very brief overview of the mechanisms of anxiety and depression, there are many different and complicated circumstances for different individuals, including trauma, genetics and lifestyle. Chinese Medicine and acupuncture address the underlying root to the issue, according to the individual as a whole and their own personal pattern. This allows treatment plans to flex with your mental state and where you fit on the spectrum of anxiety and depression. So let’s get out of “run from the goose” mode, and start feeling better! Have more questions about what how acupuncture can help with your mental health? Contact me! I love answering questions! So acupuncture can help with adrenal fatigue while helping the body heal from the “fight or flight” stress mode it is associated with cortisol levels? Great blog, Brenna!